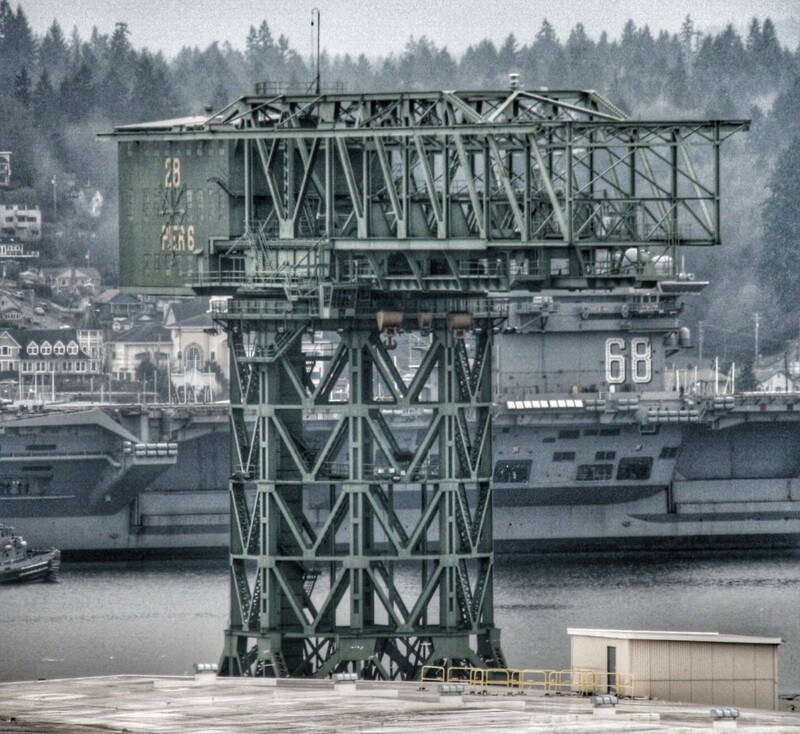 The USS Nimitz passes by the shipyard’s iconic crane Tuesday. 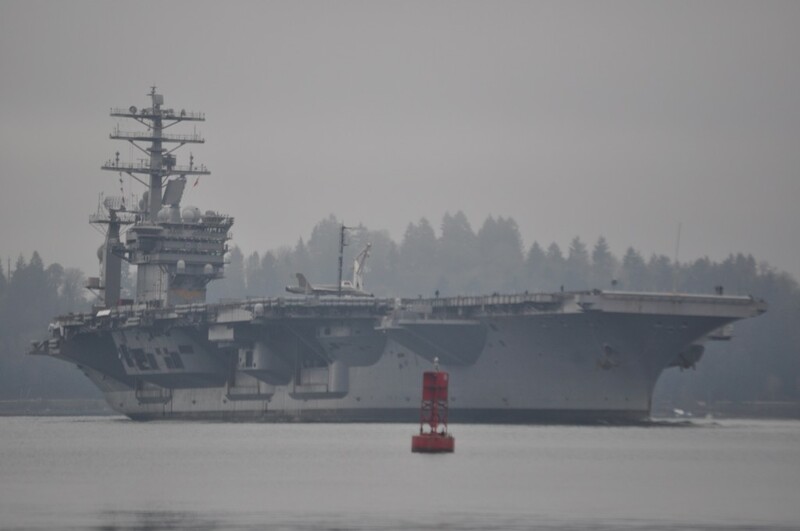 Right around high tide today — as these things often happen — the USS Nimitz supercarrier arrived in Bremerton’s Sinclair Inlet. 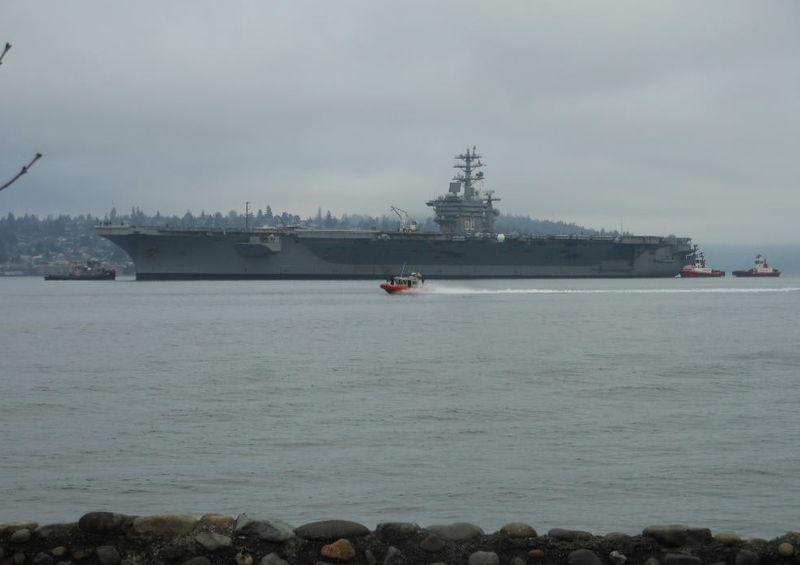 There, she’ll spend the next 16 months getting maintenance at the Puget Sound Naval Shipyard. The Nimitz is no stranger to overhauls, nor is she a spring chicken. The carrier was commissioned in 1972, I’m told. It took the nuclear vessel a little longer than expected to get here, too, but here, she is. I snapped a few pictures at city hall, atop the Norm Dicks Government Center, this morning. If you’d like to add a photo to this gallery of its arrival, ship me a note at jfarley@kitsapsun.com. 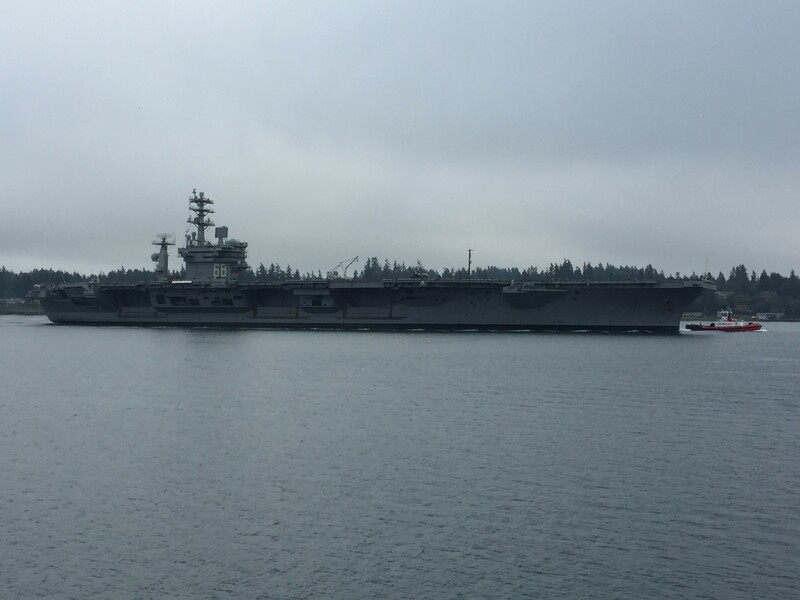 Reporter Tristan Baurick snapped this shot from the south end of Bainbridge as the Nimitz approached. 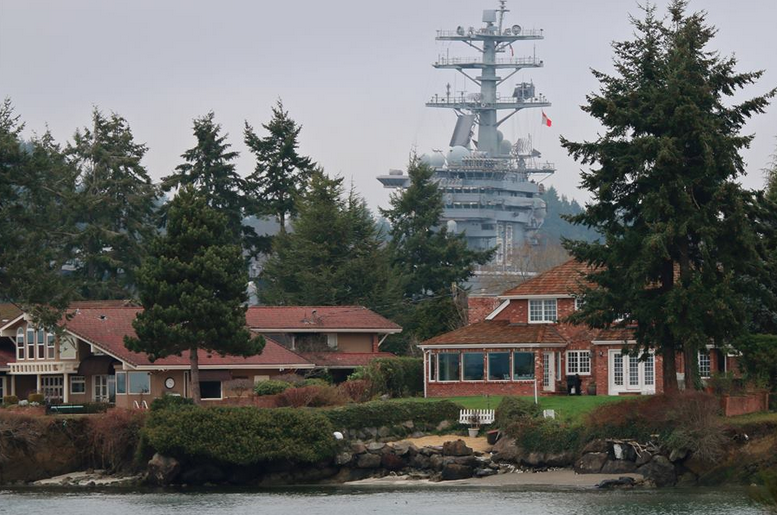 Patrick Kerber took this great shot from South Kitsap, as the Nimitz rolled by some waterfront homes. 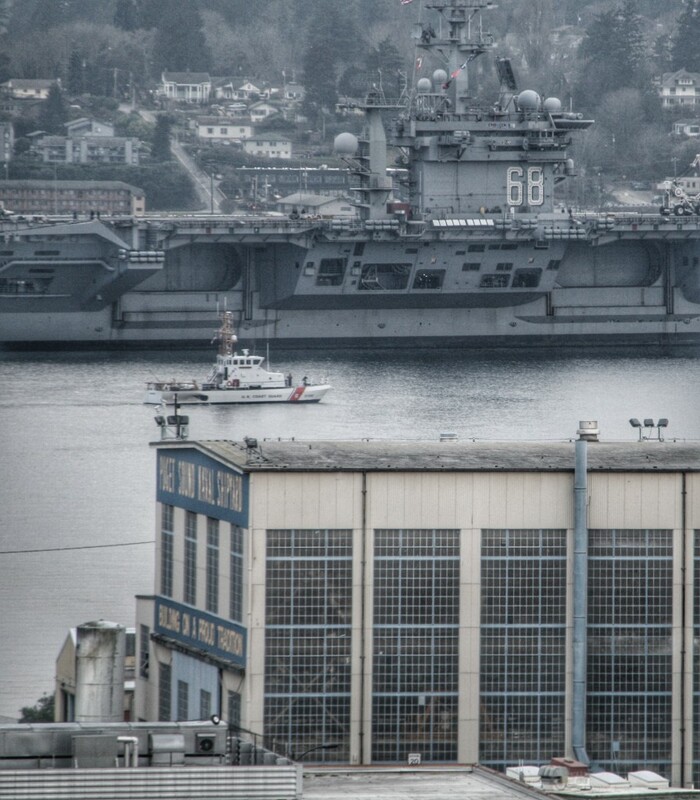 Here’s another shot of mine, as the Nimitz goes past the “Building on a Proud Tradition” building. Bobby Davis was on the ferry as the Nimitz rumbled by. Connie Haworth took this photo from Bay Street in Port Orchard. One last shot of mine of the crane and the vessel.